9am-12 noon with 8am-6pm flexible options. This class is for April, May, June and July 2013 birthdays. 2-hour drop-off class for 2 year olds! 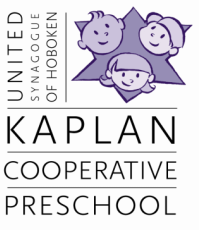 This program is for children who are ages 3-5 and attend other preschools. We are excited to share our love for Jewish songs, stories and holiday crafts with your children. *children enrolled are eligible for a discounted open play for $15 at Urban Jungle (contact Urban Jungle for details. Download a sign up form here or contact the school at ushpreschool@gmail.com for an application. Call 201-653-8666 if you have any questions about which program is right for your child.